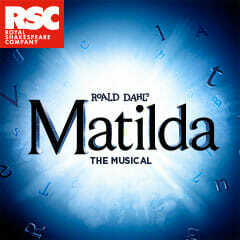 Inspired by the twisted genius of Roald Dahl, with original songs from comedian Tim Minchin and book by Dennis Kelly, Matilda the Musical at the Cambridge Theatre is the captivating new musical masterpiece from the Royal Shakespeare Company that revels in the anarchy of childhood, the power of imagination and the inspiring story of a girl who dares to change her destiny. Matilda’s parents think she is a nuisance and she thinks, quite rightly, they are only interested in watching telly. Life is not much better at school, where the monstrous headmistress Miss Trunchbull terrifies both students and teachers alike. Then one day Matilda discovers she has a very special power and decides it’s time the grown-ups were taught a lesson. Be warned, the children are revolting! Winner of over 85 international awards, including 16 for Best Musical, and a whole host of five-star reviews, MATILDA THE MUSICAL continues to delight audiences of all ages in London, and will commence its first UK & Ireland tour in March 2018.